Having a BMW gearbox problem fixed in the UK is easy but it still costs a lot, how to determine the cost before taking repair services? Owning a BMW is like an arranged marriage in the UK, you have to be with your BMW in both cases if you are not good or even your BMW is not good. Both of you, your BMW and you live together like you both have been made for each other. Although, BMW are like obedient wives and they always remain loyal due to their durability and longevity. The performance remains at the par for years and years and it keeps your lifestyle and standard a bit up as compare to others. But at the same time holding these luxury brands for a long time takes a lot of effort in terms of money and energy but it doesn’t matter how much money because luxury comes ahead of the money. After some time, when these vehicles require repairs, it becomes harder to gauge the repair costs for these models because of the BMW gearbox and engines fitting situations. It is a hard job to remove the only transmission out of the BMW without touching the engine. So these things definitely increase the cost to the next level. On the other hand, garages ask for big amounts of money because they knew that the BMW owner is willing to get his vehicle back on the road at any cost and in a timely manner. Unfortunately, it is one of the worst decisions to draw timelines on repair works because quick fixes don’t work for long and they fall back on the owners very soon with worse outcomes. An accurate diagnose of the problem and efficient repair solution is necessary and known as the best suitable way to carry out repair work. Here comes the precise calculation of the costs of fixing the BMW gearboxes issues. Although the parts are relatively affordable, automotive garages labour costs are higher, usually, they get higher profits on these models, to drive up their profits to extremely high. It is also possible that they can sacrifice the quality of work if asked to decrease the labour costs. Searching for a good specialist garage in the UK is not a big task these days, go online and search for the best BMW gearbox specialists in the UK. A good diagnostic can save you a lot of money on the repairs and with the transmission issues, there is a series of damages that can ruin your entire gearbox. It would require even more labour and parts afterwards which would increase the overall cost of the repairing. In the transmissions, the damages work in a chain and come one after one. Knowing about the issues will give you a better idea of exactly how much repair costs work and what needs to be done. However, beware of the unnecessary costs and repair works that garage suggests you carry over. They actually take advantage of your lack of automotive knowledge and exploitation and the thousands of pounds could have been snatched out of the customer’s pockets. Evaluating the costs of the repairing and replacement at the same time is the best idea. If BMW gearbox repair is costly than the gearbox replacement, it is a better solution to go for the replacement of the transmission with a reconditioned BMW gearbox. It is even a better solution to go for replacement even if it costs you a few hundred pounds extra. If go have decided to go for the repairs then make sure that your issue has been fixed properly. Your BMW is an exceptional machine and engineered for extreme performance. It must be treated accordingly. Every part of the machine requires exceptional care and attention during the repairs. The transmission repair should be seamless and feel like it did as it was performing on the first day when the vehicle was bought as a new. It is likely that you have invested in your BMW yet another time because you felt that it is an exceptional vehicle and it is worth investing in it. 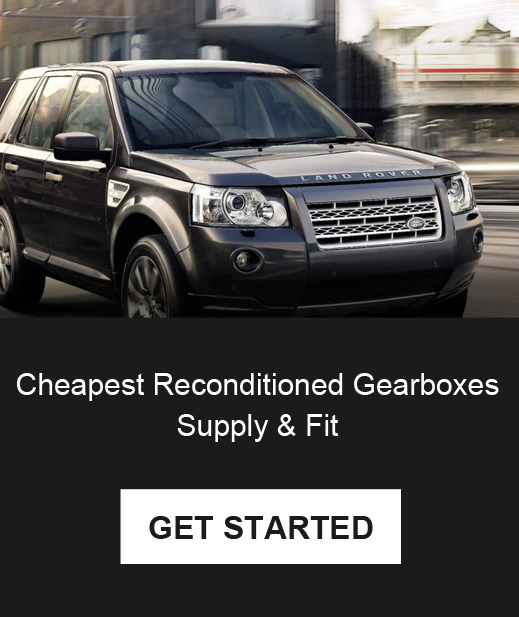 Gearbox repairs are usually a scary tasks because sometimes, labour costs and replacement costs come together when garage says sorry, it is unrepairable, you need a replacement BMW gearbox. This why it is a necessary thing to estimate first and then go for repair or replacement.